At the Blend Retreat I won a Nature Box one month shipment of healthy and delicious snacks from the closing ceremonies, and I received it a few weeks ago and thought I better blog about it. Talk about being excited. I have seen other bloggers opening the monthly box, but nothing compares to actually opening the box. I love getting food in the mail. I participate in the monthly Foodie Pen Pal program and I can tell you that I look forward to the box all month-long, something about getting surprise snacks and food in the mail. Some girls like shoes, this girl likes Food Boxes. NatureBox will send a package full of nutritious snacks to you every month. Pause or cancel anytime, and we’ll refund you 100% if you are not satisfied. They include a what’s in the box diagram, along with some thoughts on staying active and getting energizing boosts from foods, plus they included a recipe featuring items in the box. These are full size bags of goodies. There are five bags included in this box. Masa Crisps, Tropical Trail Mix, Cinnamon Spices almonds, Agave Citrus Granola and Honey Nut Medley. This is a great idea for a gift or a nice way to treat yourself. Nature Box will give you 25% off your first months subscription by using this code: REFER25. Question of the day: Do you send food as gifts? 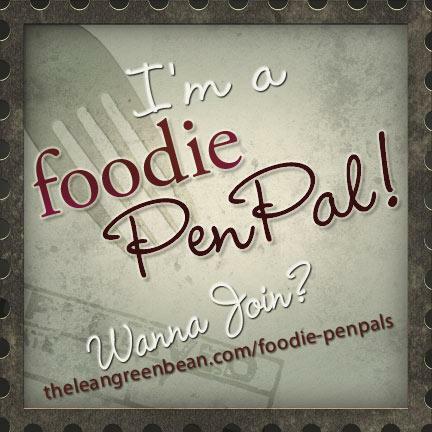 Happy Foodie Pen Pal Reveal Day! 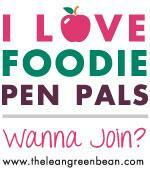 I cannot even begin to express how much I love getting my Foodie Pen Pal Box. Having the opportunity to try snacks, treats and food item’s that other bloggers and readers enjoy, then share with you is so much darn fun. Looking back to my First box in March, and then my Second Box in April, I just can not get past the thoughtfulness of the senders. You can tell they think about what they are sending. So now to my May Foodie Pen Pal Box. This month I received my Foodie Box from Rachael at Passing Daisies. Rachael sure did pick out some taste treats, plus she sent some really awesome home-baked cookies. Rachael made Chocolate Chip, Almond & Peep Cookies. Yep, there are chopped Peeps in these cookies. Clever, right! Once I pulled out all my goodies, I could barely wait to try a cookie. So once I snapped a picture, I grabbed a plate and placed the cookies out. Look at how beautiful they are. They are loaded with chocolate chips and almonds, then you have the colorful peeps peeking out at you. Okay, these cookies are awesome, they have a great chewy texture, and really are unique and fun. My husband went a little overboard and ate 4 cookies, one right after the other. He said that they were so good and addictive, and I totally agree. Great job Rachel your cookies were a big hit over here! Then I sorted all the snacks. I love snacks. Rachael sent Seasnax, Annie’s Cheddar Bunnies, Organic Fruit Snacks and Vega One Nutritional Shake Mix. So right away I opened the Seasnax. I love roasted seaweed and could not wait to try this brand. Rachael sent me the Toasted Onion flavor. I really enjoyed eating this, perfect snack if you like salty snacks, I like to think of them as the Chip from the sea. Then my attention turned to the show stopper. Okay brace yourself, I might get a little dramatic here. I have tendency to get super excited over Nut butters. So here we go… Rachael sent me MaraNatha Caramel Almond Spread. After my husband Revived Me , I did a weird little dance; Picture a short, curly haired, super excited lady in your mind, then picture her popping up and down and side to side holding the jar pictured below, and that’s how excited I was. I will dance for Nut butters, I will flat-out Bust A Move for them. The lid came off instantly, normally I need my Jar Opening Cloth to assist me, but apparently I gain strength with excitement. My husband and I taste tested it straight from the spoon, it was a special moment for both of us. AmazeBalls is all I can say, you get the caramel flavor and the almond flavor swirled together. Perfection in a jar. Rachal also sent me a jar of Yoders Strawberry Rhubarb Jam. I am looking forward to trying this in my oatmeal. What a great flavor combination with the Strawberries and Rhubarb. Also in my box was this baby! Love Grown Simply Oats Granola. I love this flavor and cannot wait to dig into a big old bowl of granola and yogurt. See what I mean about Foodie Pen Pals putting together a thoughtful box. Thank-you so much Rachael for an amazing Foodie Box, you did a great job selecting items for me and I appreciate it very much. This month I sent a Foodie Box to Kris over at From Sugar Cookies to Peterbilts. I’m excited to see how she likes what I sent. If you are interested in joining, just review the information below and join in on the fun. Question of the Day: What Food Item Do You Dance For? Or if Singing is your thing, What Food Item Do You Sing For?